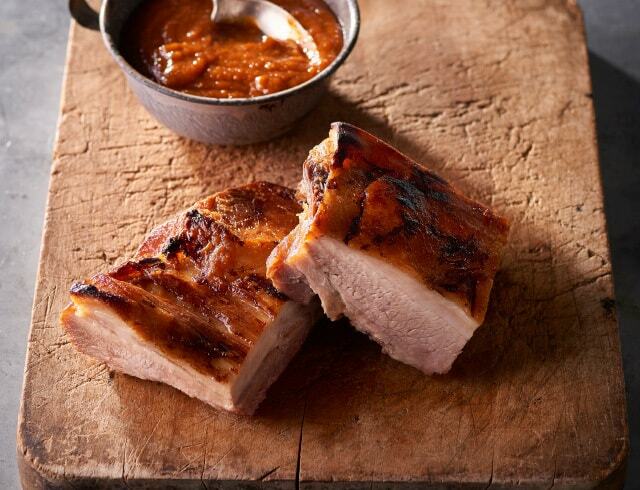 Our range of freshly prepared beef, lamb, pork and chicken dishes are cooked in-house and come in a variety of flavours and techniques – bone-in or removed. All ready to heat and serve alongside your favourite sides. Don’t see the cut you’re after? Hot-smoked pork hock cured in juniper and bay leaf infused brine. 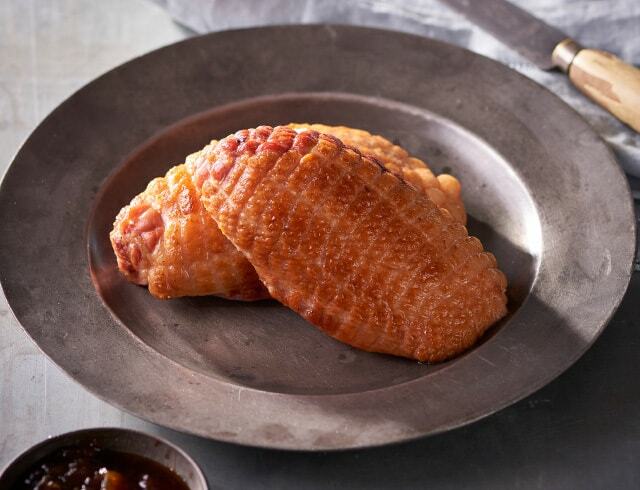 Salt and brown sugar-cured duck breast, hot-smoked with hickory wood. 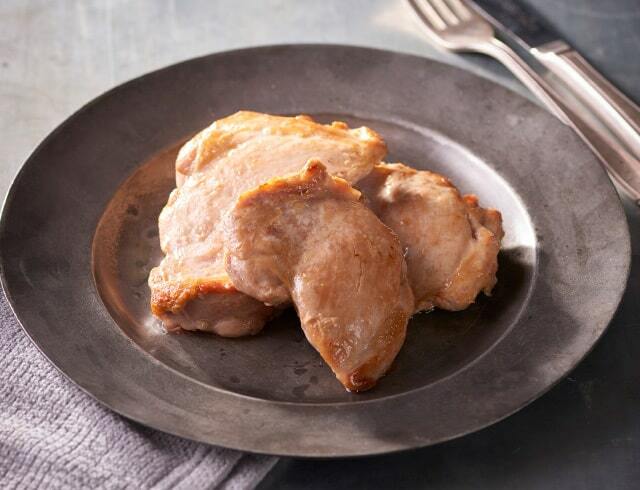 Skinless, seasoned and slow-cooked chicken thigh. 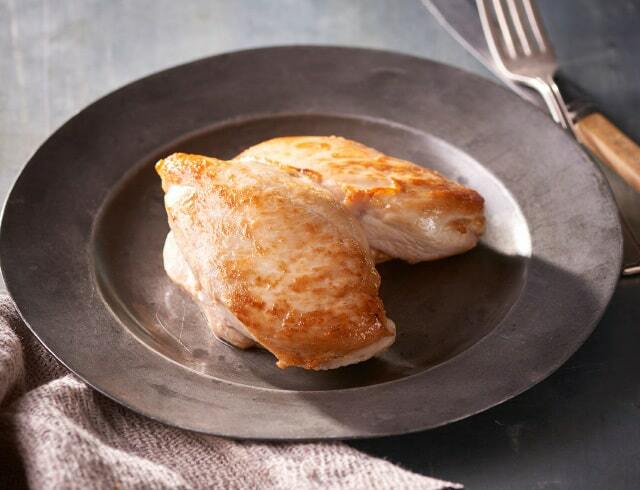 Skinless, seasoned and slow-cooked chicken breast. 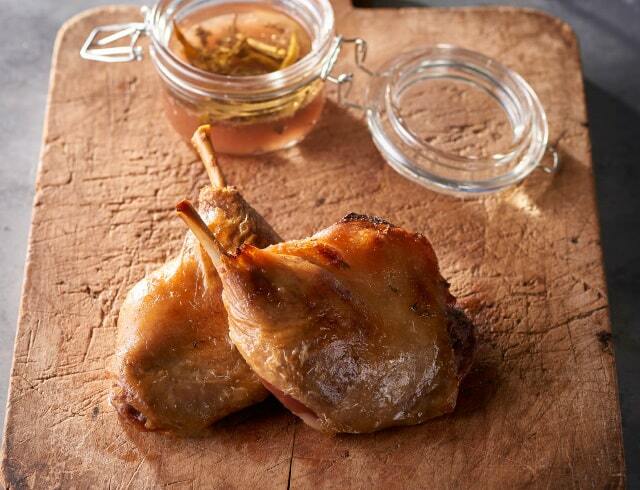 Traditional duck leg confit infused with lemon rind, sage, thyme and garlic. 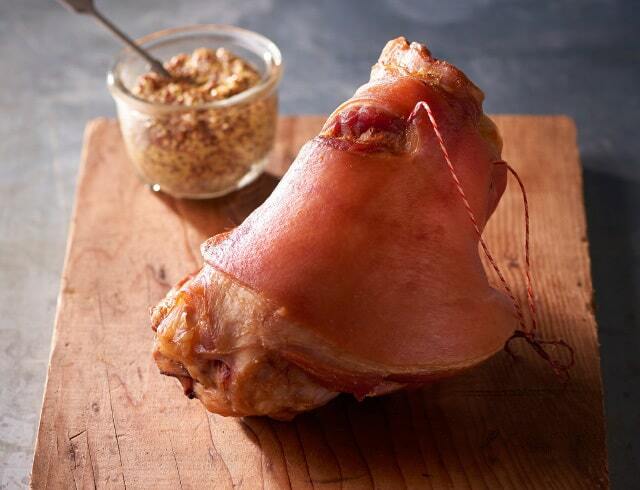 Vegetable stock-braised, smoked pork hock, cured in a juniper and bay leaf brine. 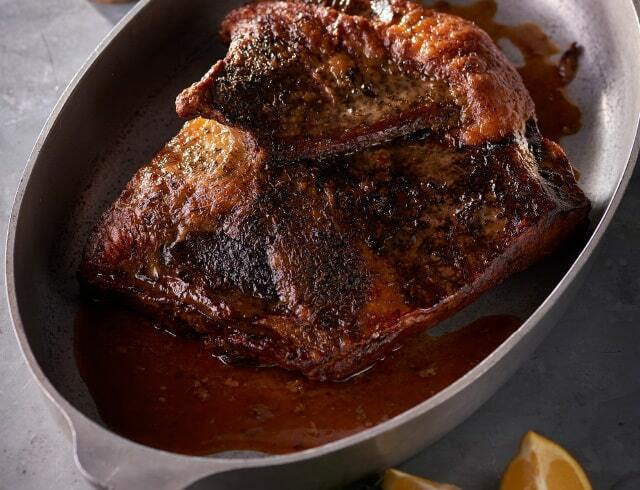 Salt and sugar-cured pork belly, slow-braised in maple syrup and toasted all-spice. 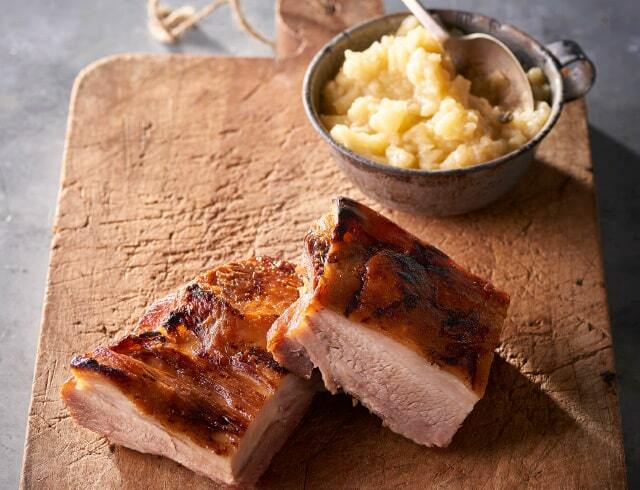 Salt and sugar-cured pork belly, slow-braised in sweet apple cider and lemon thyme. 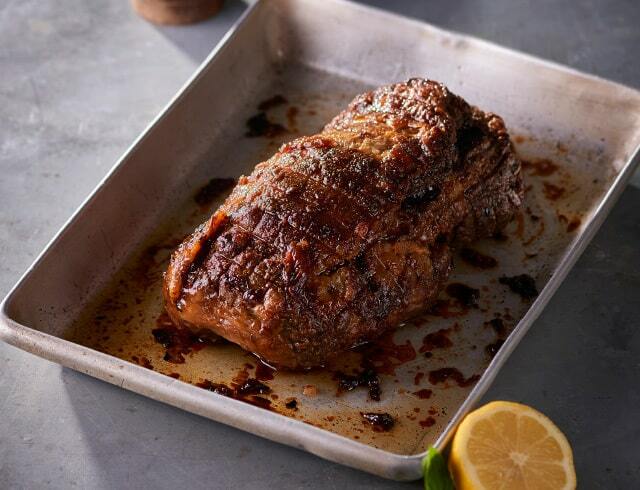 Slow-cooked, seasoned, tender pork shoulder. 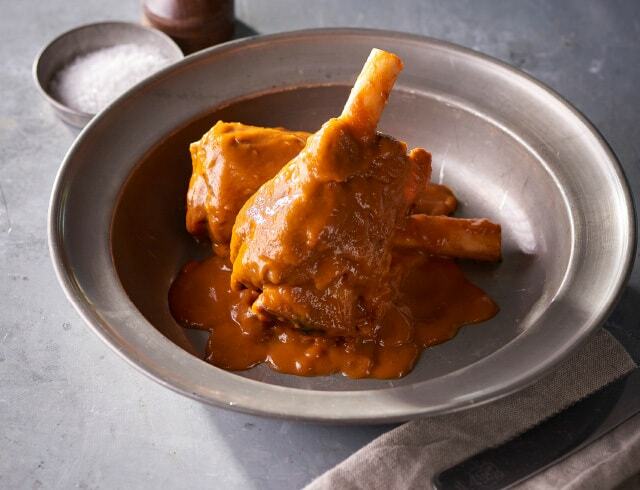 Slow-roasted, tender lamb shanks cooked with bouquet garni in tomato coulis. 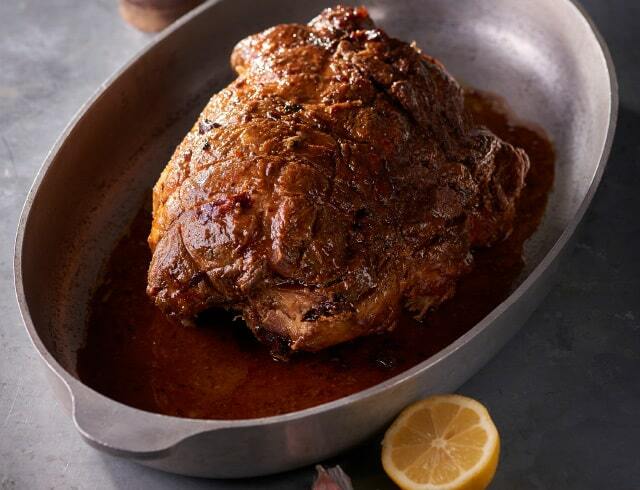 Slow-cooked and seasoned lamb shoulder. Sliced veal shanks braised in tomato broth, root vegetables and herbs. 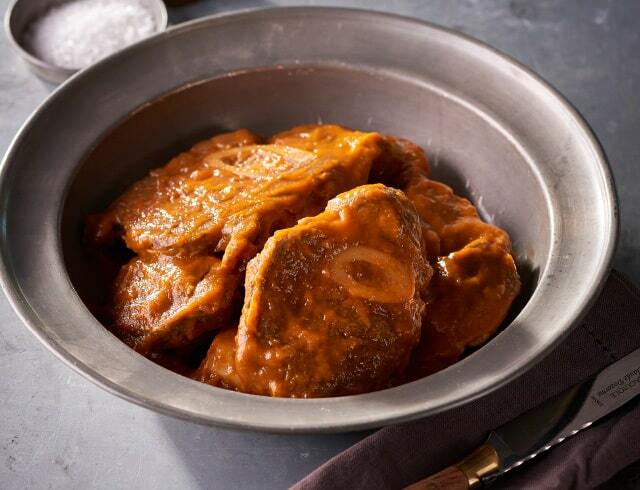 Pickled Wagyu beef marinated in a seasoned brine and slow-cooked. 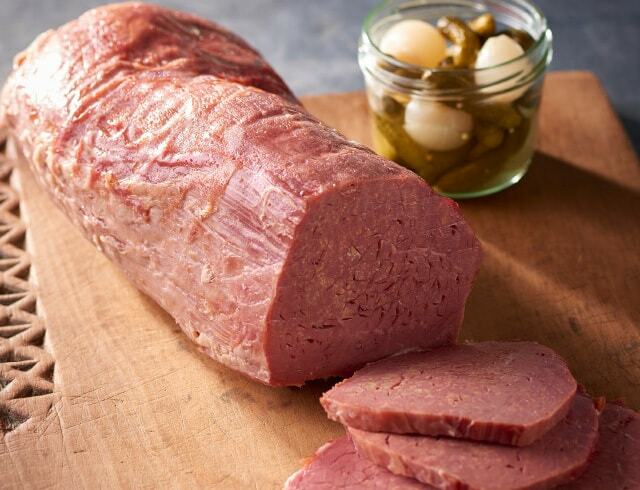 Pickled beef marinated in a seasoned brine and slow-cooked. 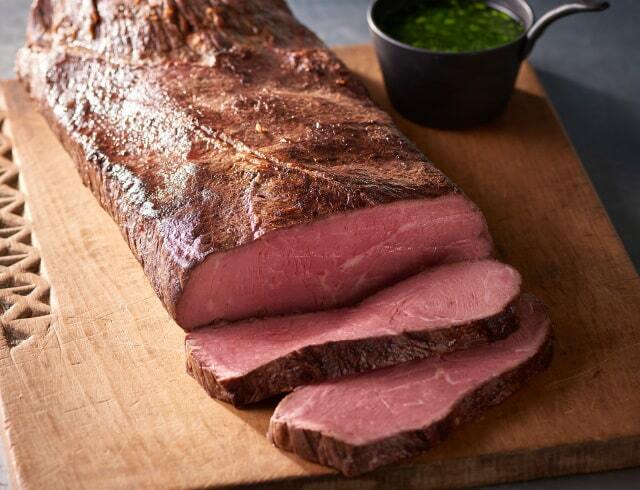 Quality, Australian striploin seasoned and slow-roasted to perfection. Seasoned, slow-cooked, boneless beef brisket.